Watches and sailboats; seems like the perfect match doesn’t it? Expensive, high-end timepieces are often associated with luxury and wealth, much like owning a yacht. You’ll often see movie stars and shipping magnates on beautiful 100-foot yachts in white linen shirts, wearing the latest gold and/or diamond studded timepiece. Last weekend’s experience in Sydney could not have been more different, and that’s something I’m incredibly happy about. Edox is a brand that is well versed in creating watches for the sporting world, especially high-intensity extreme sports. They sponsor teams in many sports, and also are the official partner and timekeeper for the Dakar Rally. 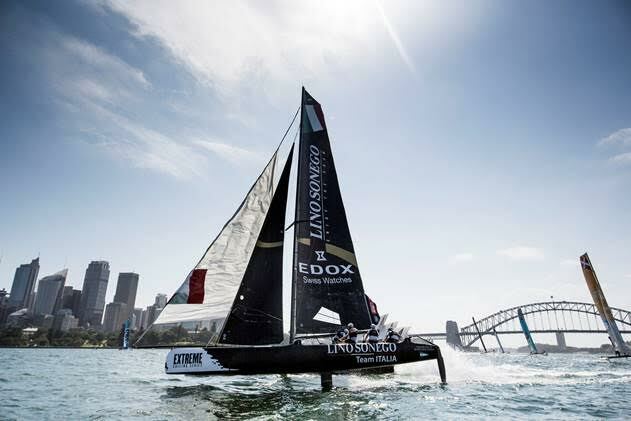 In that same vein, Edox is also a sponsor of the Extreme Sailing series, a worldwide competition in which teams race in ‘Extreme 40’ catamarans, usually in small areas where spectators can see the entire event easily. Edox even has an ‘Extreme Sailing Series’ special edition of their Grand Ocean chronograph timepiece. The final chapter of the Extreme Sailing Series for 2015 took place in Sydney, and we were there for the fun. After some early formalities, the crews hit the water and I was lucky enough to join one of them (Team Russia) during a race. I kitted up in a life jacket, helmet and giant waterproof overalls, and was taken out to the race boat by a small ‘rib’. After being told in no uncertain terms by the skipper ‘whatever you do, don’t touch any ropes’, I took my spot on the giant trampoline-like mesh section and held on for dear life. The next half an hour was one of the most fun experiences of my life. Granted, we did t-bone another boat doing about 60kph (I think that’s a shade over 35 knots), and I thought we were definitely going to sink, but after that little mishap, things seemed to go reasonably smoothly, albeit quite fast. 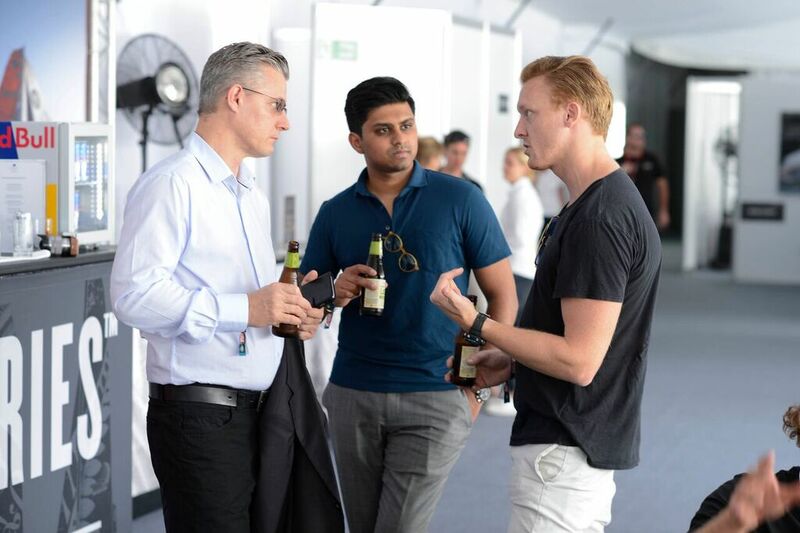 After getting back onto dry land, we watched some more of the races until the day’s end, and chatted watches with the Edox regional representative, Axel Wenger, as well as the rest of the Edox Australia team. The event went all weekend, and was a rousing success over the 4 days it was on. Edox is certainly onto a good thing with the Extreme Sailing Series, and I can only hope to be lucky enough to attend next year. A HUGE thanks to the team at Lion Brands for having me along at the event, and sharing what the team at Edox is so passionate about, along with some of the fantastic sports-specific watches that are available from the brand. A wide range of Edox is available in Melbourne from 8th Avenue Watch Co in Emporium.